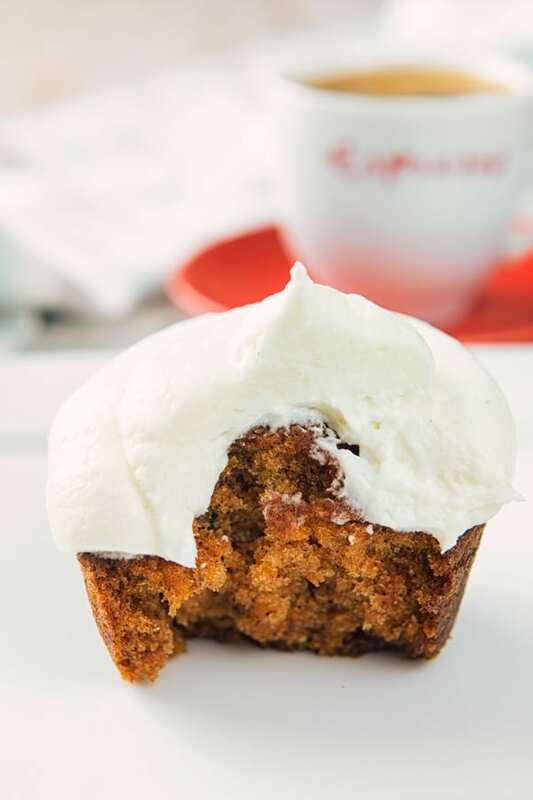 The perfect way to start the day with these Easy Carrot Cake Muffins. 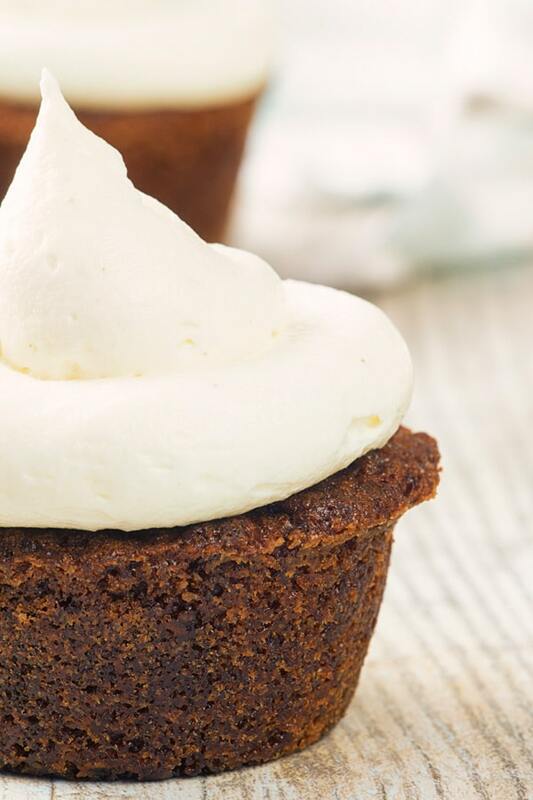 You can always fancy them up for the perfect dessert with a delicious Creamy Cream Cheese Frosting. Last summer I went to visit my Cousin for a few days. Lucky for me she shared some of her amazing recipes. Some she told me were from her beloved Aunt, some from friends and some from other family members. 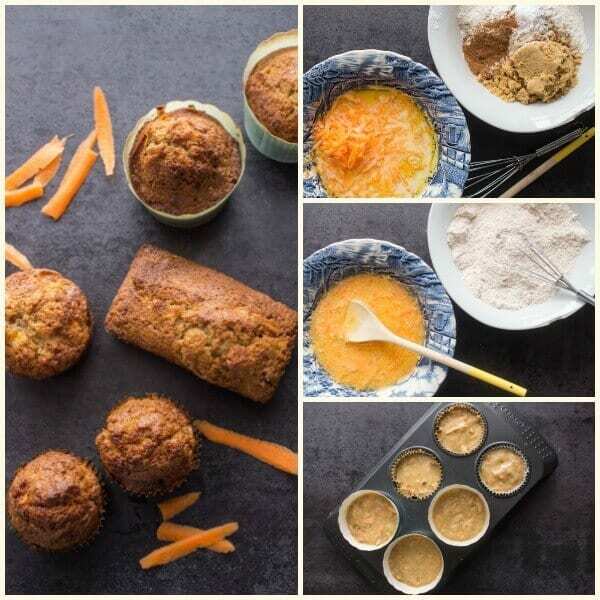 I remember coming across this Carrot Muffin recipe and thinking “I have never met a Muffin I didn’t like”, this is a definite must try. 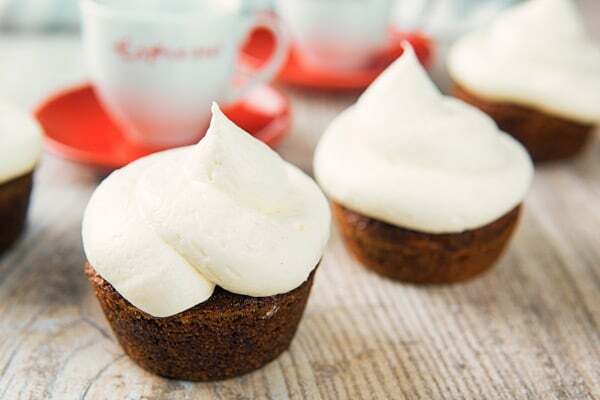 So if you love Carrot Cake then you are going to love these Easy Carrot Cake Muffins. 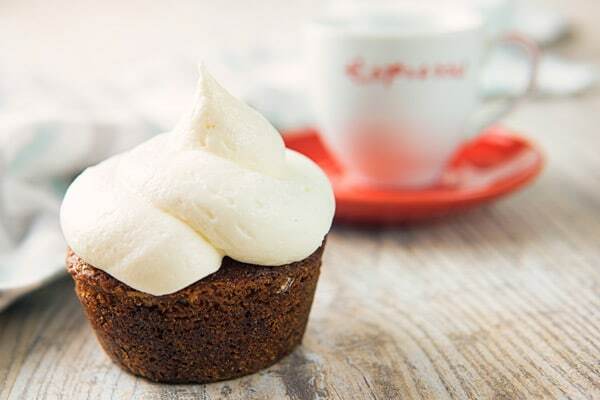 What to add to Carrot Cake Muffins? This recipe doesn’t call for nuts, and to tell the truth I kind of like it without. You can add them if you want, chopped walnuts or pecans would be perfect. Or what about some raisins? If you use raisins then be sure to soak them in boiling water for about 3-5 minutes to plump them up. And nuts are always better when roasted. Roast in a cookie pan for about 5-7 minutes, be sure to let them cool in a separate bowl so they don’t continue to bake. If you like a lighter touch of nuts, then how about sprinkling some ground up pecans on the yummy Cream Cheese Frosting? Be sure to store them either in an airtight container or bag. 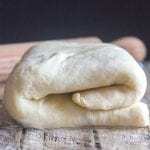 They will last up to 3 days at room temperature or 7 days in the fridge. Of course if you have frosted them they definitely need to be refrigerated. So twelve of these little gems without the frosting, has only 226 calories each, not bad for an afternoon snack with a cup of tea. I love Muffins for Breakfast too. 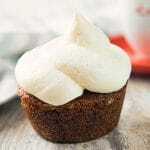 You could leave the frosting off a few of these Carrot Cake Muffins to serve for Breakfast and frost some for an easy delicious dessert. If you prefer you could make a loaf instead of muffins or even a small cake. Make sure to use an 8 inch loaf or cake pan. Be sure to lower the temperature to 350F (180C). And bake for at least 35-40 minutes, of course you should check with a tooth pick for doneness. These are so good fresh baked from the oven, but if you want that taste again, just warm them up for about 30 seconds in the microwave before eating one. Some people think they are difficult to make because if you stir too much they become rubbery, so just remember stir 15 or 16 times and you can’t go wrong. Force yourself to stop stirring! Use either paper liners in your muffin pan or grease and flour the pan. Fill the muffin tin 3/4 full. And I have to tell you even my youngest loved how moist and delicious they were. And guess what, there are only two left. I hope you enjoy them as much as we did. Enjoy! Easy Carrot Cake Muffins, the best, simple, fast breakfast, snack or dessert muffin, delicious with or without frosting or nuts. Pre-heat oven to 400°F (200° C). Grease and flour a 12 medium size muffin tin*. In a medium bowl whisk together the vegetable oil, beaten eggs, carrots and milk. 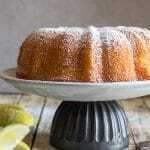 In a medium bowl, whisk together the dry ingredients, sugar, flour, baking powder, baking soda, cinnamon and salt. Add the dry ingredients to wet ingredients, stir with a spatula or wooden spoon just until combined (15 or 16 stirs no more). Bake for approximately 20 minutes. Let cool completely before frosting. Enjoy! *If you make a loaf instead then be sure to lower the temperature to 350F (180C) and let it bake for at least 30-35 minutes before testing, it may need longer. Updated from January 13, 2017. Hi Rosemary, thank you so much for your recipes. I just used your carrots muffin recipe and they turned out great, taste very nice. Love it, they are simple and easy to follow. Hi Sandy, thanks so much so glad you like them. Have a great weekend. These sound and look delicious! 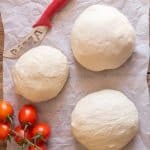 Was wondering if you’d ever tried almond flour instead of regular flour? Hoping to find a gluten-free breakfast on-the-go option… was thinking that the almond would up the protein as well but don’t want to make leaden muffin bombs. Thanks for any input! 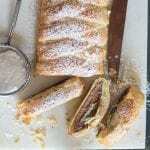 Hi Laurie, I have never used almond flour for these, maybe a good gluten free flour would work better. Will try 5he chocolate chip muffins, tried so many. Trying to make them home made. Have not found one yet. And your other recipes look great. Hi Sandra, thanks so much, I hope you enjoy the muffins. Let me know how it goes. These are fabulous! And so easy to make, I made them with the help of my 4 year old boys. They didn’t last long enough to get the frosting on, maybe next time 😁. Thanks! Hi Fiona, thanks so much so glad you enjoyed them and your boys enjoyed the frosting! Happy New Year. These muffins are SO good. I used lite milk and soaked a couple of handfuls of sultanas in the milk while I was mixing other ingredients together. I used 1 cup of wholemeal flour and 1/2 cup of white flour. Very moist and delicious. Thank you! Hi Sheila, thanks so much, so glad you like it. Have a great weekend. Hi Daen, no just regular all purpose flour and whole milk (not cream) in the batter recipe. Although it is double cream for the frosting. Hope that helps. Let me know how it goes. Hi Dawn, thanks so much, so glad you like them. Have a great weekend. I was on the subway on my.way home in a city where carrot cake is not common (the ones i tried are dry and boring), and i had a craving. I googled recipes and yours was the second. So glad i picked it! They are INCREDIBLE. I seriously can’t believe i just baked this. I’m a normal person. These taste like carrot cakes i had in amazing cafes in Copenhagen. Even better, actually. I added nutmeg, fresh grated ginger and some raisins. So good! Thank you thank you. Hi Cande, thanks this made my day. So glad you enjoyed the recipe. One of my daughter’s favourites. Have a great day. I made these muffins and the family went crazy for them! I am now tasked to make a whole bunch more but as mini muffins for my grandmothers 90th birthday. do you have any suggestions regarding timing or any other tricks that may help them come out just as delicious? Hi Tara, thanks so much, so glad everyone loved them. I would make the mini muffins for approximately 10-13 minutes instead of 20. Check them at 10 minutes with a toothpick although they may need a few more minutes. Let me know how it goes. These look so amazing! I love how they are in muffin form! Hi Sharon, thanks so much. I just had carrot cake oatmeal for breakfast this morning, but boy do I wish I know had one of these muffins for my snack. LOVE Them! Hi Kristen, I wish I liked oatmeal because that oatmeal sounds great, and yes I enjoyed them as a snack. Have a great week.